The relationship of consumers / customers must be tailored with after – sale – service by the manufacturers / producers. It is this neglected portion by the manufacturers or producers in early sixties that gave rise to consumers’ dissatisfaction and grievances against marketing activities. If for instance, the manufacturer of Peugeot car failed to include spare parts in their products, it will be disastrous for any buyers to accept such wrong, harmful, and uncompleted products. After- sales -service could be in form of say: repairs, maintenance, and the supply of advice or spares, (read more about this topic in sales literature). It becomes the responsibility of every manufacturer to consider the attention of the users first before embarking on any promotion activities. Open or covered markets as the oriental stylists bazaars. Combination of the above, such as the antique dealers. These are loss that are sustained by salesmen through negligence or dishonesty through employment of salesmen. Salesmen must be able to work according to the rules laid down. These are talented salesmen that are naturally gifted with selling techniques. This attributes of natural gift that results in superior selling achievement are also called NATURAL SALESMEN. Their major function is to negotiate sales between sellers and buyers. Their profits are usually based on an average commission – on volume. But, some derive their profits from pre-determined fee based on sales. They are sometimes called specialists because of their expertise knowledge on one range of products. This is concerned with number of personal contacts made with customers or prospects within a given period of time. There area variation in call rate designed, regarding the type of product handled by such salesmen. One cannot expect the call rate of industrial goods to be the same as that of consumer goods. The only dilemma to sales personnel is to consider the coverage of their products within such territory. Read more about it in journey planning of salesmen. These are sales representative or selling calling directly on ultimate users or customers to market their products which could be goods or services. This method of selling is particularly used in selling services like the insurance salesmen. Canvassers can be interchangeable with cold calling of salesmen because there is no formal information before calling on their prospective buyers. Grocery products usually fall within this category of wholesaling. They buy and provide transportation by themselves as well as their customers / buyers, And, they deduct specific amount from the real cost. They normally operate on lower margin costs. This occurred in retail shelves where the bills are paid, like that of most large retailing organisations. The supermarkets and departmental stores for instance, adopted this method of payment right from early sixties. To secure goods order from their customers. And, the shelves can be neatly arranged to catch the attention of the buyers. To actually identify the purchases pattern of their products and to arrest any questions that may arise in their product. To maintain cordial relationship with their customers from time to time. They can also notify their various customers of any change in the products. These are retail societies owned by members or trading stamps group based on purchases. The uses of trading stamps as form of sales promotion strange up late 1950’s. It is financed by the members only. To achieve the desired objective without raising prices clearly means that gross revenue must be expanded. In time of inflation, these must be carefully ruined contrary to Government’s directive. These are promotional means or support used to encourage retailers to stock more of the products or range of products at a stated period of pre-determined quantities. The establishment of the UTC, UAC, and KINGSWAY are example of departmental store. This is so because the departmental store carries a wide variety of merchandise under one roof, usually on several floors on the building. This may be said to be collective of shops under one roof and ownership. This has the advantage of enabling customers buying all their requirements in one store by visiting the different departments. Direct selling system is also called door-to-door selling. The idea of selling directly to the customer or consumer on the door step came into existence far back before Christ (BC). The insurance salesmen are the dominant salesmen in this field. In developing countries like Nigeria, the idea of selling directly to the ultimate users has assumed the totality of the market. But, in developed countries Like the USA, this has been greatly abused. This could be defined as the time it takes a product to reach the final users of a particular product i.e. Point of manufacturing through agencies, wholesales, warehouse, and retail before it finally gets into the hands of the consumers. This could be completed within some days, weeks, months, or years. It should be noted that one cannot expect the demand of industrial goods as frequent as thai of consumer goods. (b) Bulk purchase usually in cash. (c) Out of town locations. (d) Minimum service and display. Many manufacturers and producers in Nigeria for instance, take the sole objective of selling direct to the consumers either for them to know the trend of the market or to forecast their target market. Only large organisations with required capital to employ -able salesmen, can actually adopt this method of selling. This is the elimination of customs and excise duties in a particular commodity to effect sates properly. Most often located at air or sea ports. Basically, the term enquiry simply refers to the general request for information flowing within and outside an organisation or from person to persons. This should not be confused with an inquiry. Whereas, inquiry is business term that refers to request for details prior to placing an order for goods. Ex-gratia is referred to as “a matter of favour”. This is the situation where payments are made without the existence of legal obligation between the party or parties concerned. For example, where local consumers made payments to the seller. Face – to – face selling is nothing but personal selling techniques. To ordinary man, it is called belly – to – belly selling. Read more about it in chapter one. They are wholesalers that take over producers credit operation and collect payment. Example of factors are the books distributors, obviously buying the producers invoices and earning a straight forward commission on any sales made. They are different from sales representatives because they are often involved in processing as well as the usual wholesaling operations. The latter are concerned mainly with tailoring of the products to the final consumers. These are trade agreements between two or more parties. The franchisor supplies a name, products, services and general know-how and the franchisee contracts to use all or a major part of the franchisor’s services within a particular agreed territory. The greatest advantages of this method of selling is that it encourages vertical integration on the part of the franchisor; to the franchisee it offers a degree of concentration and independence in operating a business of a size which may otherwise not be feasible. These are goods that carry low units value normally found in consumer goods like the cigarette. These goods are bought more frequently than the demand of industrial goods. Habits are commonly formed in this consumer goods. (a) When advertising one of the products, the rest are indirectly advertised as well. (b) When the price of one of the products fails the other substitutes may rise. (c) In time of booming, the organization will benefit and make fuller usage of its resources to maintain are products already in the market. Such organisations are regarded as “market leaders. These are inexpensive promotional support used to encourage or gives information about a particular product which could be in form of handbill or leaflet. This must be carefully worded in such a manner to attract shoppers. Grocery is basically referred to as a retail outlet engaging or offering wide range of consumable household goods such a soft drinks, foodstuffs and the like. But, in the negative usage, the term is used to classify merchandise goods. Large retail organization like Kingsway and large supermarkets are under the umbrella of grocery. Organistions that is not financial viable use handbill instead of advertising their goods and services through media (Above the line). Give way can also be classified as handbill and therefore the writing should be carefully worded and planned by an expert in the field especially the advertising agency. All necessary information concern the product must be stated therein. When we says, “heavy uses’ we mean those consuming public that consume move than an average level of a given product. Many expects and they are sometime called “HABIT FORMER” as a result of the rate they consumed products of their interest. For example, many smokers consumed over twenty sticks of cigarette a day. Hypermarket is the largest self-service unit with minimum sales area of 25000 square metres offering an assortments of food and non-food merchandise at popular prices. They are self-service unit with payment at one point by means of fifteen or more checkouts. Are usually located out of town. There is free and broad car parking at least four times the selling area. They are also referred to as super-stores. Industrial goods are those types of goods destined for use in producing other goods or rendering services. Many goods that fall into this group may also be classified as consumer goods e.g. typewriters, chairs, fuel, cars, paper etc. the purpose for which the product is bought determines its classification when such overlap exists. RAW MATERIALS – Those industrial goods or materials which have not undergone more processing as is required for convenience, protection, economy in storage, transportation or handling. But, they form part or whole part of the physical product. Example of such goods is the natural rubber. EQUIPMENT – These are those industrial goods which are not part of the physical products and which are exhausted only after repeated uses, such as installation equipment, and auxiliary equipment. Boilers and bank vaults are example of installation and while auxiliary equipment includes office furniture and hand tools etc. FABRICATED MATERIALS – Those industrial foods which form part of the finished products and which have undergone processing more than required for raw materials but not so finished. Cement and flour are ranks under this category. SUPPLIES AND SERVICES – Those industrial goods which do not become a part of the physical product. In other word, those industrials goods which are continually exhausted in facilitating the operation of an enterprise, like fuel or cleaning materials. While, Business Service include maintenance and repair services or Business advisory services e.g. management consultants. The rich people mostly buy at impulse rate. Once the money is readily available they may decides to buy anything that comes their way without actually thinking of the necessity of the product. This are common where self-services exist as we have in the supermarket – where goods are well displayed and pieces are tagged on them to encourage people to buy at impulse. Impulse purchase could be defined as the purchasing pattern without apparently rational or logical justification before deciding on what to buy. Impulse purchase is usually possible only in consumer goods as opposed to industrial goods which normally carry higher rate. The idea of selling unwanted reminants of bulky goods at a low price to the public consumers. Selling units of the product, usually capital equipment like plants in low volume to limited people is also called job selling. This could be defined as the complete calling of salesmen to their prospective purchasers from a point of take-off and end at the same point. Once the roots have been successfully planned the next thing is to have the map of the sales cycle to cover. The journey must be planned in such a manner that the salesmen are able to make “ROUND TRIPS”. There is always the danger here in Nigeria, even the rest of Africa as a result of many road, system which tends to be limited, though it is wise to try because time spent in travelling is time wasted. Salesmen must be able to grade their customers in accordance with their business potentials they have taken. (i) How large the areas to cover are. (ii) How flexible is the area. (v) Type of products handled. (iii) The demand of his products. (vi) Reasons for non purchase. (viii) How the sales story are presented. These are significant buyers of any products within a given market, who may hold the greatest proportionate purchasing power. They always buy in bulk and later resell or consume them. Those goods supplied in un-assembled form but with all the components and instruction necessary for the completion. In Nigeria for instance, we do not produce cars or any vehicles, apart from assembling. This situation is called knock down policy. These are printed pieces of paper which could be single or double or more often fold-over to make four pages, inserted in pack or the actual product. The manufacturers of bread for instance will insert leaflet specifying the address or sometimes the ingredient used for the production. See sales literatures. This topic has been explained in detail under “soft selling approach”. Salesmen should be psychologically oriented in the technique of presenting sales. The opposite form of low pressure selling techniques is high pressure selling. The nature of their job is basically different from selling agents. The sales personnel in this filed are usually assigned to a particular territory. They may handle different manufacturers products. Although, they are authorized to sign bond with the company. Their remunation is based on commission and some companies fix the prices of the product. But, in terms of product design, they are not allowed to interfere. These agents have their own warehousing facilities which local delivery is made. The size of the warehouse varies depending on the availability of capital or the product line they handle. These are wholesalers that buy and sell goods usually in large quantities and also take title to the goods. The wholesalers that fall into this category performs the following functions. They store goods in large quantity and sell in large or smaller quantity to the consumers. They may advertise the product and also lead some promotional devices. And, may also fix selling price and arrange credit terms. The delivery of the goods is done carefully and provide after sales service to the buyers. Merchandising should not be confused with merchandise goods. Merchandising is muddled with marketing, though it is a small part and sometimes restricted in achieving company’s objectives. The salesmen that carry out these activities are called the merchandisers. They visit stores and set up in store or sampling exercises or even arrange the more elaborate point of sales display such as working models. Picture cards given away with chewing gum, tea, cigarette etc. the more one has the picture cards the more the items are bought. Multiple packs are also used to encourage the sales of small items in multiple. For instance, bars of soap, razor blades etc are offered usually at an advantageous prices. Trade characters in store or calling door-to-door and using special decorated vehicles in a dramatic form. These are groups of retail stores located in different populated centres, normally with common ownership but often high degrees of central direction and control. (a) Uniformity – store fascials, layout, and operational policies. (d) Higher promotional support but low advertising Is stress. (f) Location is the major factors that determines the success of multiple or chain store. This term is used to describe that situation, whereby salesmen seek agreement on mutually acceptable terms from buyers respectively. Once the produced goods are able to match the objectivity of the company’s agenda and such company must be financially buoyant as to use relevant strategy as giving special guide lines. Either through interview or by demonstrating the product before embarking on full scale production. By persuading dealers or customers to order more goods than they may require. Over stating the case for buying a product. Overselling is dangerous on two courts. Firstly, it discourages buyers or dealers. Secondly, some products may be left our of sales. This method is concerned with services like a house wife inviting friends to her house to sample products, though legally the visiting representative earns commission for services rendered. The hostess receives further discount if she is able to introduce other hostesses for additional selling parties. The situation here in Nigeria may not permit such services because of lack of tolerance of others i.e. true love does not exist here when compared with develop countries. The key purpose of point of sales display is to remind the shoppers of previous advertisement that have been seen elsewhere. These are also considered to be the last link in the advertising chain. They are effective if special precussion and arrangement are taking. Posters tag on the window of the shop. Display units for standing on the floor or shelves. Mobiles which are sometime hanged on the ceiling attract attention. This should not be confused with vehicle mobiles which are considered to be within “below-the line” advertisement. Sales messages through large speaker system. Leaflet for the counter or for local door-to-door services. Display stands are more often used to display things like books, watches, padlocks etc. All these can be found in large supermarkets, multiple or chain, departmental stores, even in local drugs stores. Controlling output levels in order to eradicate operating at a loss. By grading the produce goods in accordance to its standard. Their functions may also be absorbed by Government agency like Nigeria marketing board. As people are born into the world, they grow into adulthood and at a stage in their live they find it difficult to maintain the strong healthy bodies. They die. The life cycles have ended. According to Robert Buzzel (marketing practitionalist and orientationlist) carefully defined product life cycle as an attempt to identify certain distinct stages in the sales history of a “tropical” product. It is therefore necessary for manufacturers Identify these stages of the product at any time because the marketing strategies to be adopted and it varies in different stages. Many products do not experience the growth stage and sometime jump into maturity stage immediately they are introduced into the market. Moreover, the life span for every product differs in many respects. For instance, to product like high heel shoes of early seventies only lasted for two to three years. Others may take several years. PRODUCT DEVELOPMENT: This idea began immediately after the market was freely studied that a given item is significant and different from the existing ones in some characteristics (Appearance and performance). Then, the next stage is for the company to use all its available resources in developing the conceived product. INTRODUCTION: This is the first stage in the product life cycle. Since many people may not be aware of the product, the management’s emphasis is mainly based on advertising to create awareness for the new product just being introduced. This stage is also characterised by low profit sales; uncertainty of length; relatively few distributors; inexperienced personnel; product “debugging”; and initial promotions. GROWTH: There is improvement in this stage because of rapid increase in sales. Trial sales have largely been completed. Prices are still high or strictly reduces and the increase in volume of sales leads to reduction in per unit cost of production which in turn generates high profit for the company. All emphasis has now shifted from product awareness to product acceptance. (a) All available demands are likely to be filled. (b) Most potential buyers have already bought the product whereby increase in sales depends greatly upon the population growth and needs for replacement. (c) Another obvious reason, may be that customers preferring other similar products. Because of the cut throat competition the producer in his effort to recapture the market, lower the prices of his products since not all produced goods are sold. At any given time the producer finds that his profit or total sales are constant and this is said to be saturation period. Eventually, the product enters decline stage. DECLINE: This stage occurs when the unit sales declines at an increasing rate or at more than one percent monthly. The sales of some products may decline for a period to be revived later on. But, when sales continuously go down it is said to be declining. The reasons for the declines may be change in taste and fashion. It may also be as a result of importation of similar product at the lower prices. At this stage, there is decline in sales, reduction in the number of the competitors and, reduction in advertising and in other promotional stimulants. The only opportunity left is to innovate, or ease the product life. Quota selling (sales quota) is the goal set for salesmen regarding product, territory, or market segment in selling career. Many authors called it sales performance term. This form of selling take-off with perishable goods which may be collected from producers and delivered directly to the users or retailers without the need for storage facilities. But, as the world continues to expand day by day, their functions therefore extended to those of truck wholesaling function like the supermarket. They can also arrange the shelves of their customers to catch the eye of any passers-by. This method of trading commenced early sixties in many countries all over the world. They are retailer that attempt to work towards a common goal of satisfaction. They usually operate at a local level basis, sometimes with central office and warehousing. The goods are bought at an agreed rate and sold at a high profit margin. The differences between their cost price and selling price enable them to do better job of storing, grading, and co-ordinating their business activities. There is problem of compromise between members at the meetings or conferences. These are exercises mostly carried out during sales meeting or training of salesmen. They are sometime called face-to-face exercise or interviews. The greatest advantage of this methods is that the salesmen have better knowledge of how the product must be demonstrated and .presented before prospective purchasers. (a) Through mechanical sales effort by salesmen. (b) Make-up machine like the vending machine. These are promotional, communicational sales aids including administrative equipment which are being carried by the salesforce in order to secure sales efficiently and effectively. See sales lead. The opposite form of sales lead is sales inquiry. Sales inquiry focuses on request from sales prospect for sales literature or quotation and obviously this cannot be considered as sales information than an inquiry. But, sales lead contains piece of information or a contact which may ultimately led to sales being transacted. These are directive instructions inserted in any given commodities which may be in form of pamphlets, leaflets, point-of-sale, show cards etc. these are capable of aiding the potentials customers / consumers in knowing the physical attributes of the product. Sales literature are commonly used in selling industrial goods because such goods need further explanation to prospective purchasers. As we may be aware, technical sales men are expected to make sale on the first call made. It would be a persuasive salesman indeed who could convince a customer to buy a machine, costing say, over ten thousand naira (N10,000) after only twenty minute of talking! Usually that first call will be devoted to persuading the customer to accept a demonstration of a product on the next call and the machine can be taken along especially for/this purpose. Since these goods are so technical in nature it will be more advantageous for any manufacturing companies to realize the importance of sales literature and to include them in their product. The layout and system of wording should be carefully written in such a manner to catch the eye of the consumers. These products should be in stock and the manufacturers must be certain that they are in good condition. It is very off-putting to handle a dusty-dog-eared sales literature. The advantages of the product should be stated and made simple to buyers’ understanding. Words that have dual meaning should be avoided in this regard. After all said and done, sales literature is bound to act as a silent salesmen. Sales manuals are written statements given to salesmen that guide them in their operational area’s which may be quarterly, monthly or weekly, most especially during their training or induction programme. Sales manual are of two kinds. Firstly, during induction or training programme of the new intakes, large organizations must be able to distributes sales manuals to their salesmen which will guide them in the company policy and how to demonstrate the products or uses of the products before the prospective purchasers. Content and style of salesmen’s presentation to prospective customers especially when lack of listening abilities are pre – determined. Sales records could be defined as the collection of data (factual information) by salesmen relating to sales achieved by product category, geographical location, customer type, etc. such information are significant to management for market intelligence and also enables them to forecast the expectant result to be achieved in future. These are non control variables of any companies or organisations. These are quantitative sales objectives set as positive statements of company requirements. To put it more forcefully, these are sales that should be achieved by any salesforce for a specified period of time. Those marketing activities, other than personal selling, advertising, and publicity, that entice customer’s purchases and dealers effectiveness, like displays, show and exhibitions, demonstrations and various non-recurrent selling efforts. It is also described as an integral part of the company’s overall marketing plan. The purpose of sales promotion is to bridge the gap between the company and their various customers. The idea of sales promotion is to bring the customers more closer to the product. Sales promotion are used to persuade three groups of people to enhance the company’s profitability. Firstly, the company’s salesforce. The responsibility of, the company therefore is to persuade the salesforce to sell more of the product. This can be achieved when advertising campaign is agreed upon by the overall marketing personnel. It is significant to note that the whole salesforce must be behind the operation. Secondly, the distributive channel operators. The company must be able to persuade them to stock and promote more of their products. Cash reduction usually tagged on the pack. Charity plan-if one purchases, reward will be given to charity. (C) Competitions – Such as slogans, photographs, paintings, and puzzels. These are containers of items which sales men normally present to prospective purchasers in order (to induce them to accept their products. It is the duty of the sales men that such samples meet the laid down objectives of the company. Many manufacturers operating in a very small scale who lack the necessary finances to employ salesforce will tend to used selling agents to market their products. The manufacturers may either employ them on full time or part time basis. The salesmen in this field earn only commission on anything sold. These are goods that are not bought often and they usually carry high rate or price. Many consumer durables fall into this category like tape recorder, pounding machine, cars etc. before such products are purchases, search and analysis are involved specifically on the pricing, product features, services, and availability. These are high rate shopping complexes with perhaps offices, flats, and floor above the shop. Example of this shopping plazas can be found in Singapore. These are usually located in the rural area where the road to it is not motorable. This has the advantage of lack of traffic and safe for shoppers. Soft selling is the systematic approach of selling message in such a manner that the listeners (buyers) are able to obtain the desired impact. There are no buyers today willing to buy from salesmen who lack this approach. Some authors termed this soft selling approach as “Low pressure selling”. This is one of the major tasks of any organization to emphasize during salesmen training or induction course period. These are merchandising activities carried out in retail shelves and displayed in such a way as to stimulate and attract the attention of the prospective purchasers. Sales literatures and posters may be classified under this heading. These are group of people coming into or passing through a retail outlet at a particular period of time. They may not necessarily constitute the buyers only, but embrace people who may not buy the product. Supermarket and other well established retail outlets (where self-service is practice) are mostly concerned. These are salesmen who handle one brand of product that may not be required often, by the users. Such salesmen are well trained regarding the techniques of presenting the product to prospective buyers. Some of the goods that fall into this category are technical goods that needs further explanation e.g. cars. This is a special offer directed towards the purchasers of a product, and legally all expenses are borne by the promoters. When these are carefully planned and arranged systematically, the promoter will surely achieved the desire objectives. The major objective of this method of selling is to induce and encourage people to buy more of the products. Here, customers move freely to the store to pick commodities of their choice and go to the point where the bills are paid. The minimum coverage of supermarket should be 20000 square metres with a minimum of three check-out points. They offer wide range of fast-moving merchandise goods usually at premium prices. In most cases there are large car parks in the frontage. This is the presentation selling arguments arising from suggestion, whereby buyers may feel they have arrived at a point favourable to the selling agent as a result of his own persuasion. (a) The money that could have been wasted in transportation will be avoided. 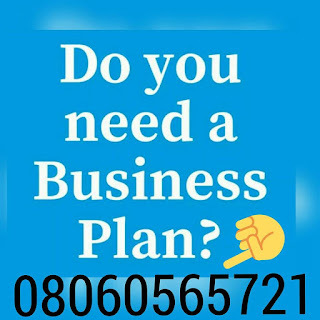 (b) This telephone selling method has dominated the totality of the market today especially as the used of hand-set came into Nigeria in recent years. There is also disadvantages levied against this method of selling. Firstly, the goods cannot be seen before making payment or agreement. Secondly, the possibility of seeing previous services rendered will be retarded. Therefore, making an agreement actually seeing what one intends becomes difficult in many respect without to buy. When the products are newly introduced to the market. There is danger here because if there is quick response to the market,. To raise the price will be difficult. This method can be used to beat competitors. There is also the danger of retaliation by the competitors. This method should not be used in industrial market, unless it is permitted to do so. To sell at high prices is more advantageous especially when entering the market for the first time. Many manufacturers adopt this method of selling. The advantages of this method are as follows. Firstly, in the period of boom, they can enjoy the economy of large scale production and make full usage of their resources. Secondly, the price can be adjusted to competitors’ price, unlike trading down policy where low prices are adopted as price penetration and to raise such price becomes difficult. Therefore, trading down and trading up overlap, but it is significant to use trading up policy when the product is newly introduce in the market. Trading down should be used later when the product has been established. The actual users of any given product or services are called the ultimate consumer. At such point the product does not go beyond re-selling point. The technique is usually in form of negotiations from lower price to higher price. Mostly used in auctioneering or Catholic Church harvesting period, and the highest bidders will take possession of the goods. These are customers that are unwilling or not able to forecast own needs when confronted by salesmen. These are automatic selling machines make up of solid and liquid products on insertion of a specified coinage. They are sometimes used to render services like the laundering. There are two different methods of presenting window dressing. Firstly, by displaying the goods in a shopping window in such a manner to easily attract passers-by. Secondly, by arranging goods neatly in such a way as to stimulate another parties (buyers). This is also called a misleading point of purchase. About twenty-five (25) percent of the total population of Nigeria visit shops without the intention of buying rather than to satisfy their pressure. This is commonly used in large retailing organisations where the goods are beautifully displayed like the supermarket, Laventis, Departmental stores, multiple stores etc. This is a statistical presentation of average in data collected. When a company is able to produce at profit attributable to a product or company shares. And, it can be expressed in relative terms. Once the needing salesman has been sought, the next stage is to allocate a definite area (territory) to than. In such situation, it is said to be zone allocation.